What is it that makes Julian James different from so many other performers? Julian James has been performing and honing his art form for over 25 years! This is something most others performers are unable to declare. He has literally performed for thousands and thousands of audiences, in almost every setting and situation you can imagine. Naturally, Julian's levels of expertise and professionalism are of the highest standard. This means that you can have great peace of mind when booking Julian James, knowing that you're working with a professional who is absolutely dedicated to making your event is as special and memorable as it can be! 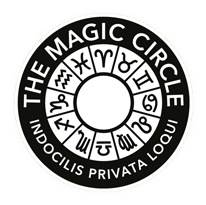 The Magic Circle is the most renown and respected magic organisation in the world. The Magic Circle has only 1500 members, worldwide. You can therefore be sure, when booking Julian for your function, that you're employing an individual exceptionally skilled in the art of magic. Julian creates sensational experiences; ones that are remembered for a very long time! Julian is proud to be a full Equity member. 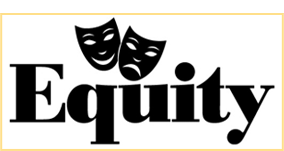 Equity is the UK trade union for professional performers and creative practitioners. As a leading industry organisation, Equity is known and respected nationally and internationally. Julian carries £10,000,000 (Ten Million Pounds) Public Liability Insurance. Although, even to this day, Julian has never had to use this insurance, it's comforting to know that he is fully covered in the very unlikely event of an accident or injury. Once again, this puts your mind at ease, and ensures that anything unexpected is fully accounted for. Julian can walk into any room and quite literally bring people together. 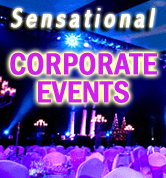 Just imagine what this means for your event! The fact is that groups of people standing in different parts of the room can have a tendency to stay in their groups. But not when Julian's around! Julian gets people from different parts of the room talking, laughing and having a wonderful time. Before Long, new connections are made and the environment takes on a totally different feel. 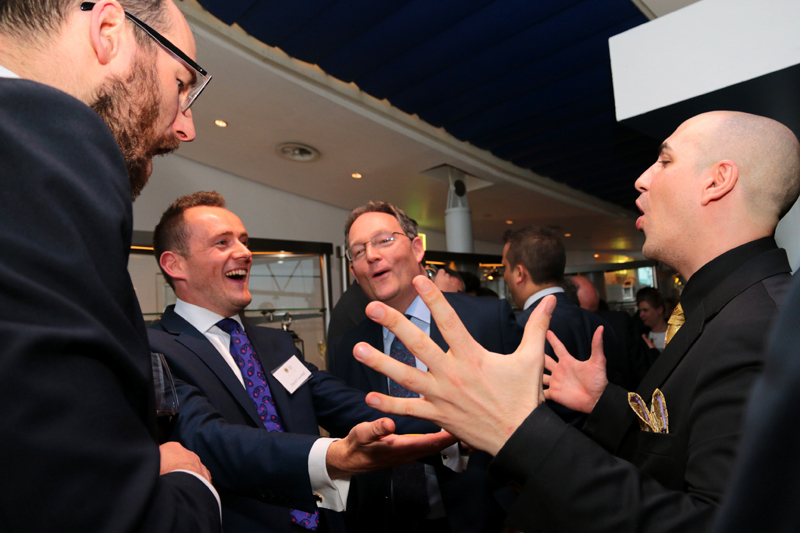 This is priceless, because if you have in mind particular individuals whom you'd like to connect (executives, CEOs or potential new clients) then Julian can make it happen – magically! One of Julian's strong qualities is his intuitive ability to know what works best in different situations. 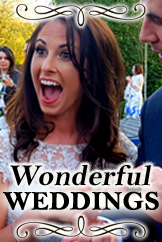 His amazing adaptability means he'll do just what is needed to fit the setting perfectly (without you having to be concerned in any way) making sure your guests have an incredible time. What's more, even if plans unexpectedly change (for whatever reason) Julian has the skills to seamlessly work in such a way to overcome these unforeseen circumstances. Of course, it's expert skills such as these that separate inexperienced amateurs from seasoned professional entertainers who know precisely how to handle the unexpected. Julian is constantly creating new and innovative ways to WOW his audiences! This is important because it means that, when Julian appears at your event, you won't be seeing things you've seen before. 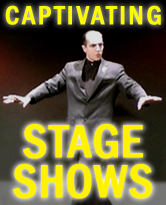 Julian's incredible close-up magic and Mind Magic is new and refreshing and dynamic! When you book Julian James for your event, you can be sure to expect someone very different, extremely charismatic and amazingly compelling. Julian is the author of the book CONFIDENCE EXPLOSION: Destroy Your Fears & Explode Your Confidence Through the Roof! His elite mentoring programme, Extreme Confidence Breakthrough, is a transformational experience in which individuals work with Julian, in an ongoing one-to-one capacity, to smash through their deepest fears and limitations and embrace the dynamic powerful confidence that is their birth-given privilege. The result is that his clients are able to engage the world fearlessly, without self-doubt or hesitation, and fully embrace the life they truly desire, feeling inwardly refreshed, composed and enlivened! Julian James is know for bringing an unmistakable essence into almost any environment. Whether you're organising a private party, a corporate function – or any other type of event – it's now your turn to find out just how special and magical Julian can make it for you! Click here to make an enquiry, or to check Julian's availability for a particular date.